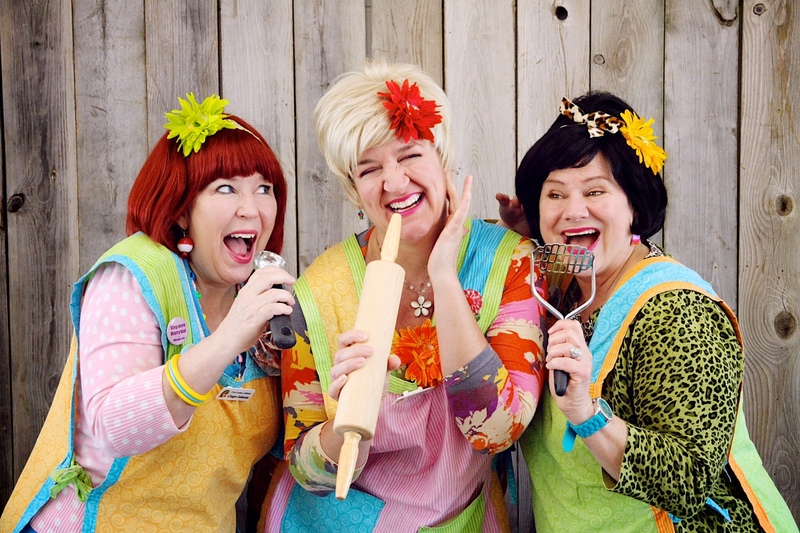 The Looney Lutherans are back with more great music, more looney comedy, and lot’s of audience interaction in Livin’ La Vida Lutheran: Looney Lifestyle Tips for Livelier Living. USING THE PRINCIPLES OF THE “6HHP” (the 6 “Happy Heart” petals), the Loonies share their unique tips for living a livelier life. Segments include the Lutheran “food wheel”, the Menopause Medley, Lutheran Yoga, and Do-it-yourself Beauty Tips. Audience members may also be invited on stage to help demonstrate a Lutheran exercise routine using dishtowels, or to compete for cans of corn in the fast-paced game show POTLUCK. Dessert options (will vary): Homemade Italian(espresso) silk pie, Cheesecake Fluff, Swiss cake roll, Chocolate mousse, Vanilla custard.